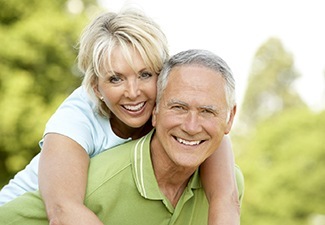 Got questions about dental implants in Leawood? Dr. Ayer has answers. Keep reading to find out more about today’s leading tooth replacement option. The implant post, which is placed beneath your gum. You never see this part. A connecting abutment, which joins the prosthetic tooth to the implant. The crown, bridge, or denture which is affixed on top of the abutment. 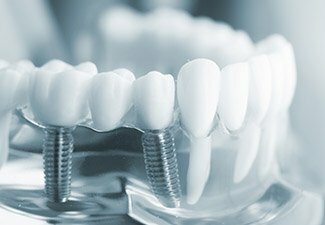 Dental implants are made of titanium, a material that promotes bone growth between the post and the jaw over a period of several months. This process, known as osseointegration, stabilizes the implant in the mouth for years to come. Once the implant and jaw have fused together, the prosthetic tooth/teeth can be affixed on top of the implant(s). The placement is performed under local anesthesia and sedation as needed for your comfort. Your dentist opens the gum tissue and places each dental implant in the optimal position for secure anchoring. Once the implant(s) have been placed, the jaw is closed and recovery begins. 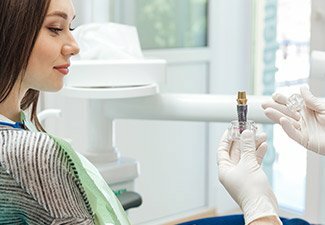 Will I need to have a surgery before I get dental implants? 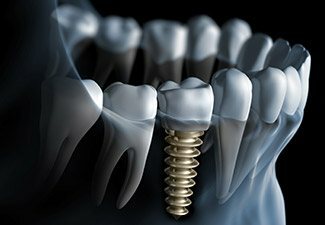 If your jawbone is weak or diminished due to periodontal disease, missing teeth, or for any other reason, your dentist may recommend a bone augmentation procedure before you can get dental implants. A bone graft or sinus lift adds volume and strength to the jaw bone to encourage proper anchoring of the dental implant. 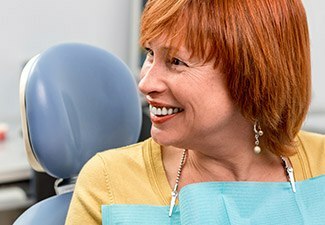 It’s not unusual to need one of these procedures -- and sometimes the dental implants can be placed on the very same day. Once dental implants have been placed, they function just like your natural teeth. That means you will be able to eat, speak, and smile with total confidence -- and complete comfort. And thanks to modern options in anesthesia and sedation, there’s no need to worry that the implantation procedure will be uncomfortable, either. Dental implants can be expected to last for many years with proper care. 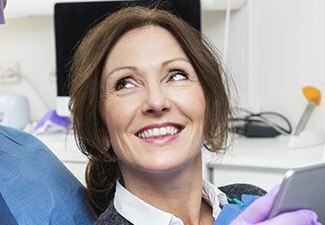 Your dentist will talk to you in depth about proper maintenance for your specific restoration. In general, make sure you brush your teeth thoroughly twice daily, floss between teeth daily, and visit your dentist for routine checkups. You may want to invest in a water flosser to reach between teeth and around the dental implants, too. The cost of your dental implant procedure depends on several factors, including how many teeth are missing, whether or not you need a bone graft procedure before placement, and where in the jaw your implants will be placed. Please don’t hesitate to contact the “dentist near me” you are searching for to learn more about the cost of your specific implant procedure.